Hello, hello! 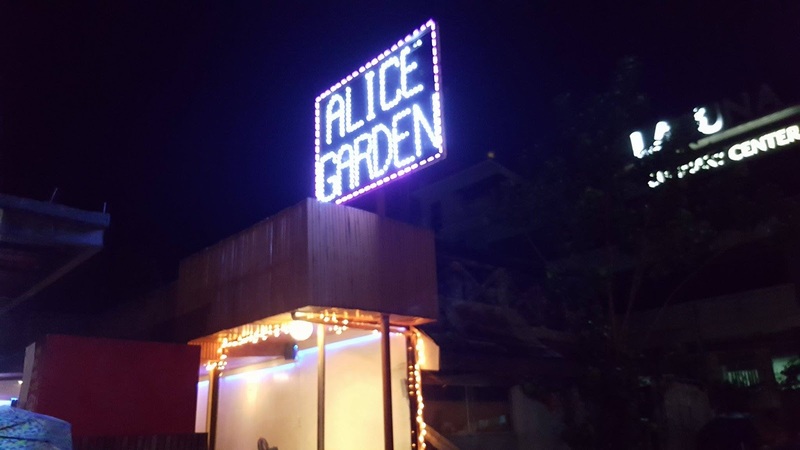 In this post, I will be sharing my oh-so-yummy food experience in one of the cool resto bars in Cebu City, Philippines known as Alice Garden Cafe And Resto Bar. 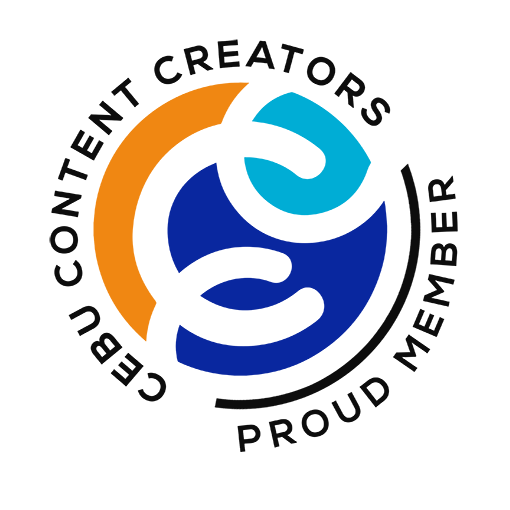 Before digging into details, I just wanted to share that I started to totally fell inlove with Cebu City the moment I set foot in my current company two and a half years ago as to this writing. This beautiful place continuously offered me countless of opportunities, memorable experiences, friendship, shopping destinations and foods/drinks destinations. There are really lots of different establishments in this place! Since then, if ever I would hear news about new restaurants in my ears, I would usually not be surprised as to "why" or sometimes even question "really that exists?" because I know that every single day, a lot of small and big businesses is sprouting within the city. 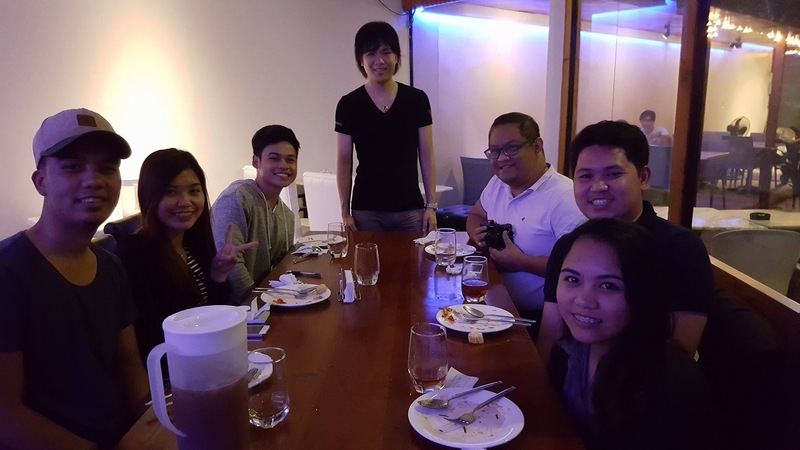 Talking about foods/drinks destination, we heard that Alice Garden Cafe And Resto Bar is a cool foods/drink stop located at Wilson St, Apas, Cebu City, Cebu, Philippines. My blogger/vlogger friends and I decided to visit this cafe one rainy evening and we enjoyed it a lot. 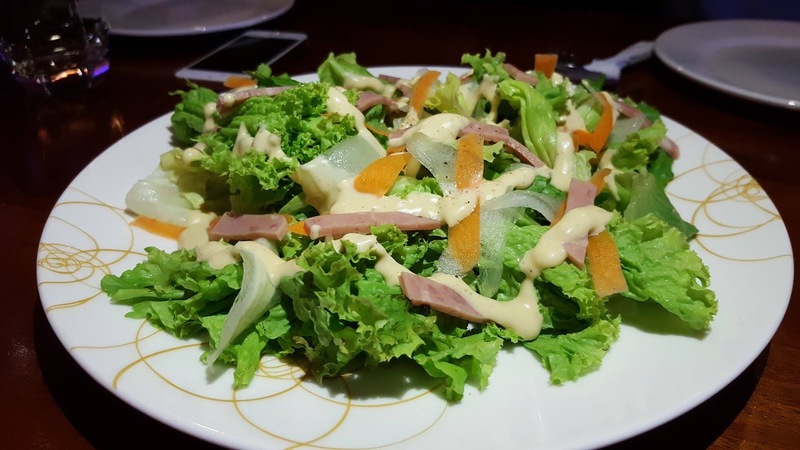 This cafe and resto bar serves Italian-Japanese fusion cuisine and of course Filipino dishes. Food choices range from 200-300 pesos while coffee and cocktails range from 100-200 pesos. Here are the foods that we tasted. I definitely recommend this to you especially the third one which is clearly my favorite. This is the first dish served on our table. Green leafy vegie goodness topped with carrots, onions, cheese and ham on the plate make me love it 'cause I know it is healthy. Our vegetarian friend love this too because he can just set aside the ham toppings and enjoy the greens! This is my second favorite because of its very delicious appearance and taste. 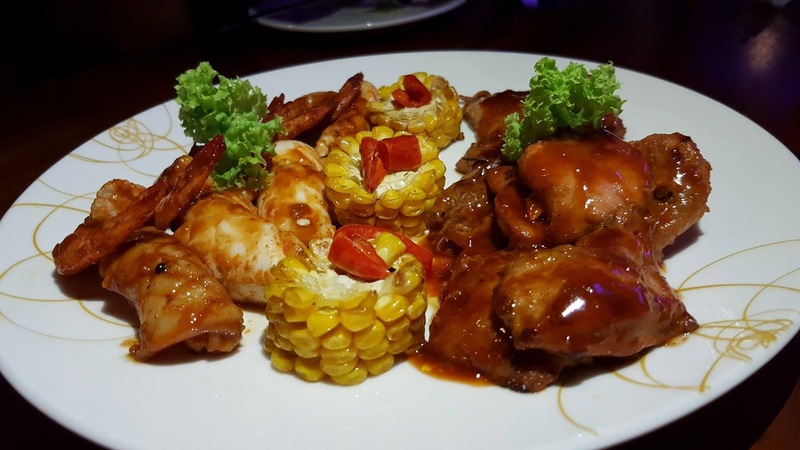 On the plate are shrimp, squid, pork and chicken covered with the delicious barbecue sauce. Plus sweet corn and lettuce that just make me hungry upon writing this article. Just look at the picture! This is my ultimate favorite during that evening. 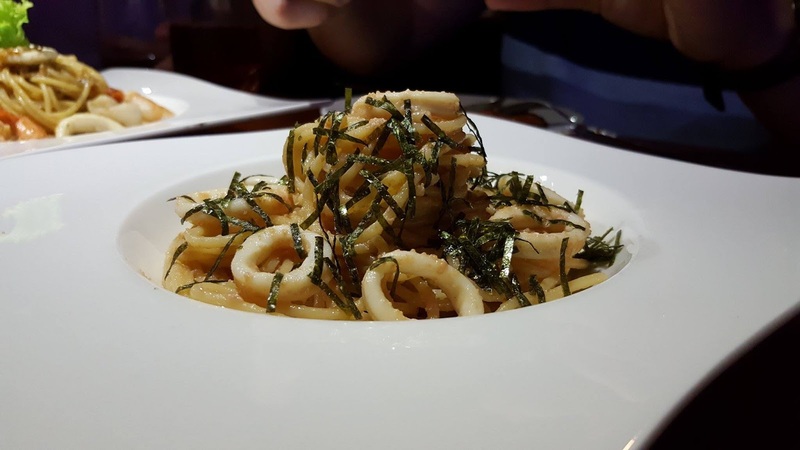 This is a seafood pasta with super yummy cream combined with salted cod roe known as fish eggs, squid rings and nori. It's rare to find this taste in the City so better check it out. I highly recommend this to you. I totally love the cheesy smell and aftertaste I have after eating this. 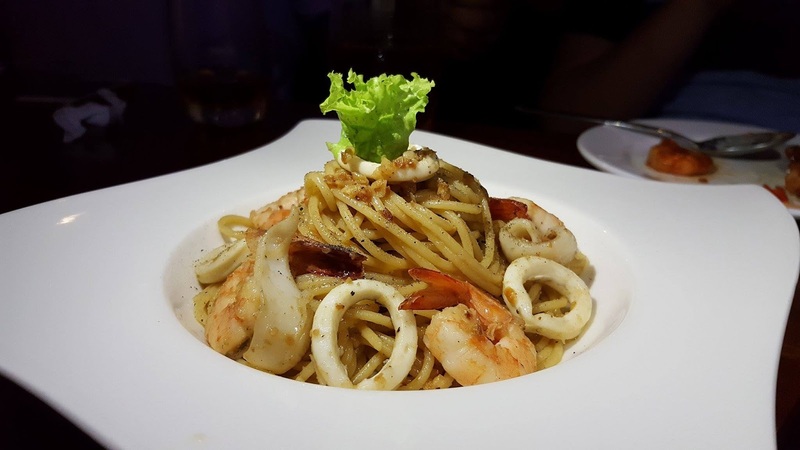 The yummy squid rings and shrimps are total plus points to the delicious taste of the pasta. For reservations and other information, please dial Alice Garden Cafe and Resto Bar's contact number at (032) 414 5316. You may also message them on Facebook.